University of Arkansas at Little Rock graduate students in the Communication Sciences and Disorders Program in the Department of Audiology and Speech Pathology spent some weekends in October raising awareness of autism and LGBTQ issues. On Saturday, Oct. 6, students assisted in the Autism Speaks Walk held at the Clinton Presidential Center in Little Rock. Students included Kim Norton, Raweya Filat, Alexa Milan, Talyn Floerchinger, Megan Alkire, Li Xin-Smith, Elizabeth Kratz, Shayne Brown, Alexis Webernd Jared Holt, all graduate students in the Speech Pathology Program, and undergraduate students Erica Pruitt and Saniya Hamirani. The event raised $44,277 to help improve the lives of people with autism. 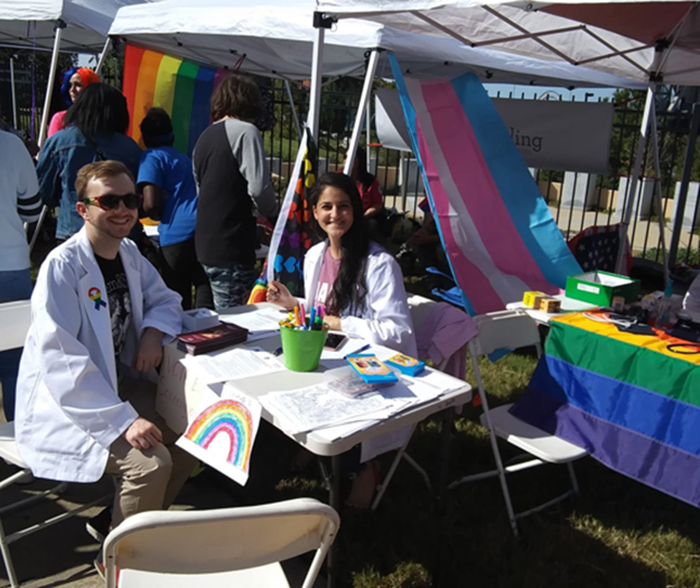 On Saturday, Oct. 20, graduate students Jared Holt and Raweya Filat offered voice screenings at the Little Rock Pride Fest, in cooperation with the UAMS Rainbow Health Coalition. The event, which is the state’s largest LGBTQ event, celebrates the history and culture of the LGBTQ community through events and programs to inspire and strengthen its members. The UA Little Rock campus chapter of the National Student Speech Language Hearing Association is advised by Dr. Dana Moser, who assists the organization in scheduling and organizing a number of programs in the community. The Department of Audiology and Speech Pathology is in the College of Education and Health Professions at the University of Arkansas at Little Rock in consortium with the College of Health Professions at the University of Arkansas for Medical Sciences. 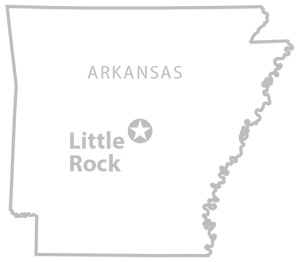 The consortium gives students access to the academic and clinical resources of a major medical sciences campus with those of a large, comprehensive, metropolitan university. Photo, top right: UA Little Rock Students staff a resource booth at the Autism Speaks Walk. 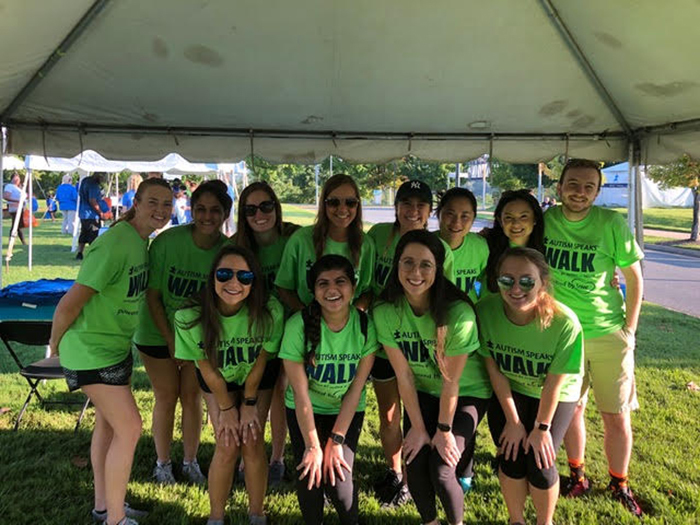 Back row: (from left) Speech pathology students Kim Norton, Raweya Filat, Alexa Milan, Talyn Floerchinger, Megan Alkire, Li Xin-Smith, Erica Pruitt, and Jared Holt. Front row: Elizabeth Kratz, Saniya Hamirani, Shayne Brown, and Alexis Weber. 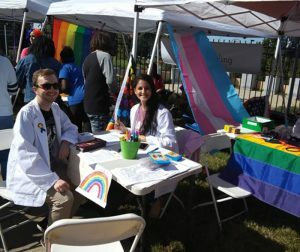 Photo, above left: Graduate students Jared Holt and Raweya Filat offer voice screenings at the Little Rock Pride Fest.